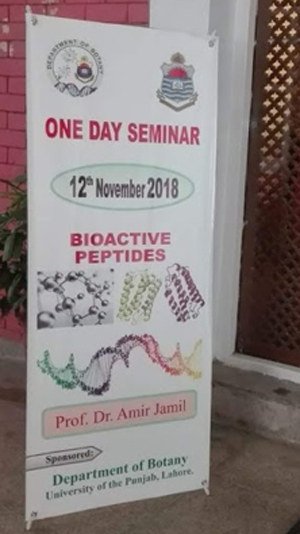 One day seminar on " Bioactive peptides in plants" organized by the Department of Botany was held in Al Razi Hall at UGB on 12 th Nov, 2018. 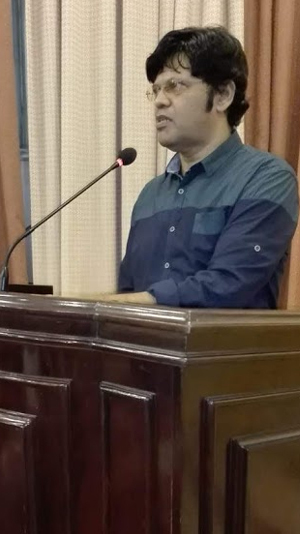 Prof. Dr. Amir Jamil from Department of Biochemistry, University of Agriculture, Faisalabad was the Resource person. He explained the role of biologically active proteins in plants and discussed advanced techniques regarding extraction and functionality of these proteins. He also emphasized on the significance of protein-derived bioactive peptides in the field of Botany, Biochemistry, Microbiology and Biotechnology. 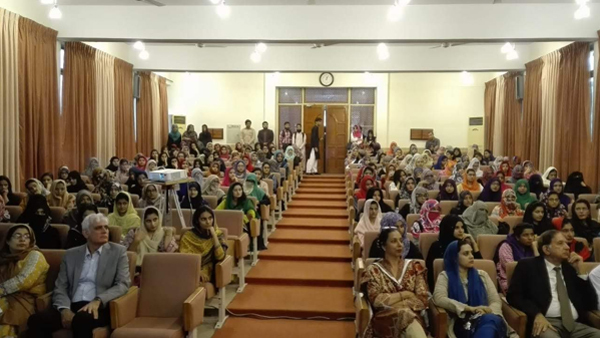 A large number of faculty members and students attended the seminar.